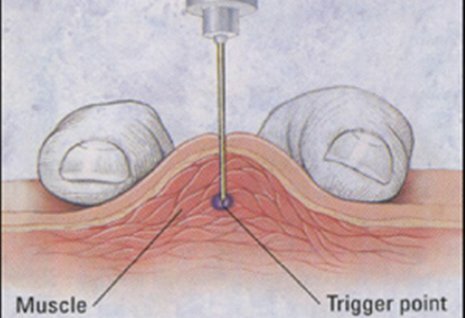 During kyphoplasty surgery, a small incision is made in the back. 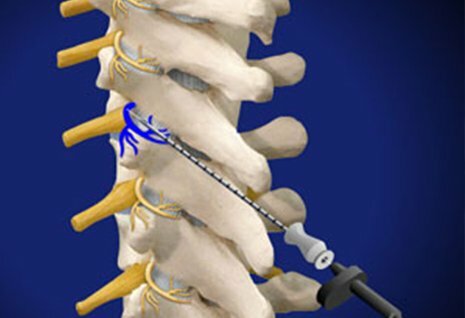 Using fluoroscopy, a trocar is guided to the correct position, and it creates a path through the back into the fractured area through the pedicle of the fractured vertebrae. 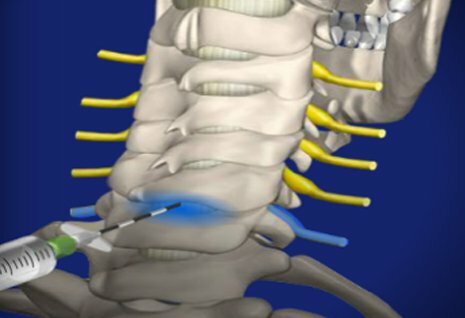 Using X-rays, Dr. Khan will insert a special balloon through the tube and into the vertebrae, then gently and carefully inflate it. As the balloon inflates, it elevates the compressed fracture, returning the pieces to a more normal position. It also compacts the soft inner bone to create a cavity inside the vertebrae. The balloon is deflated and then removed and Dr. Khan will use specially designed instruments under low pressure to fill the cavity with a cement-like material called polymethylmethacrylate (PMMA). 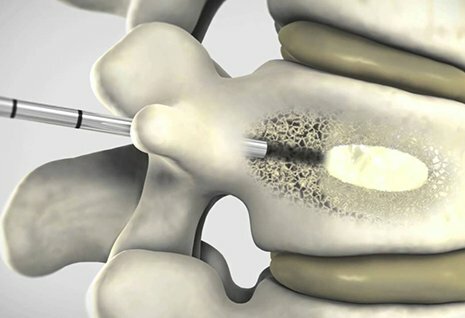 After being injected, the pasty material tracks along the fracture lines, hardens quickly and binds the broken pieces together like a cast inside the broken vertebrae, thus stabilizing the bone. 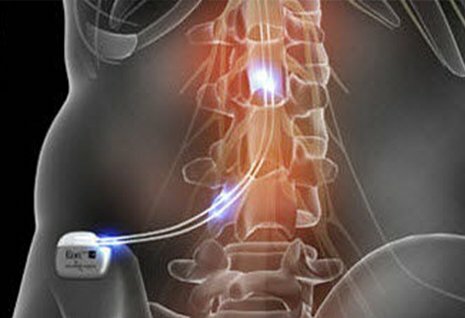 Patients may spend up to one day in the hospital after the procedure has been performed. Patients are generally discharged home same day after the procedure. If you are released the day of the kyphoplasty surgery, you will need to arrange for transportation home from the hospital. 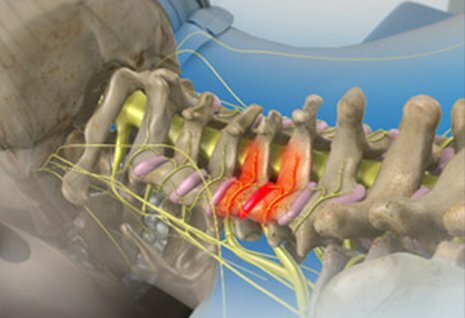 Learn more about kyphoplasty and other effective pain solutions at Texas Interventional Pain Care. Call us at 972-952-0290 or use our convenient Request an Appointment form.